With over 50 years of experience Brannan Paving has grown from one hundred dollar contracts to multi-million dollar contracts. Our workers are both experienced and love their jobs. 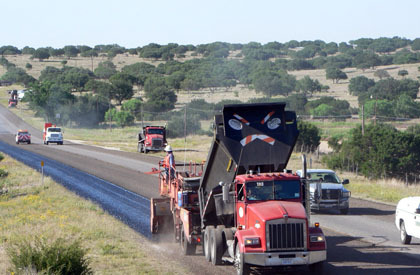 Located and established in Victoria, Texas, our company is lead by Waylan Brannan Jr.
We offer many different services including seal coating, reconstruction, and concrete paving streets. Our clientele is generally municipal dealings with TXDOT and municipalities and in some cases commercial development areas. If you take a look at our history you will see that there is no job we can't handle. Our reputation precedes us and we are well known through out the state of Texas with heavy concentration in reconstruction work in the South Texas area. At Brannan Paving we take pride in our work by getting it right the first time and by using dedication, perseverance, and a desire to satisfy the customer. Brannan Paving is an equal opportunity employer. We offer all employees an equal chance for job advancement. We are looking for employees who are both versatile and flexible, as many of our job locations require us to travel. For more job listings or opportunities please visit the employment page. Click here for additional services information.